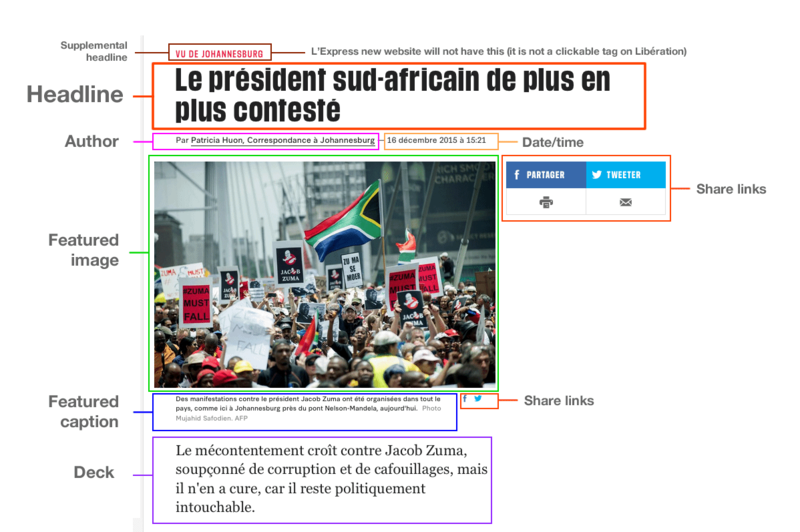 L’Express has outgrown both the design and functinality of their current website. They approached Human Made to do the build, and Human Made asked me to do the design. 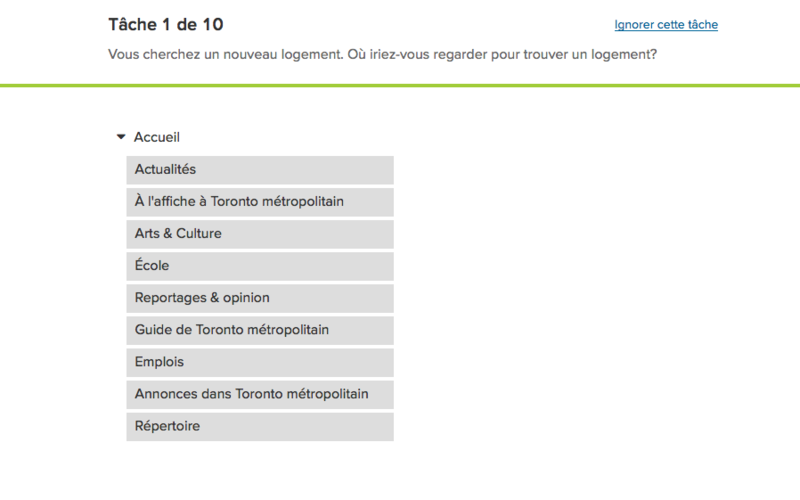 To help Ontarians live in French. 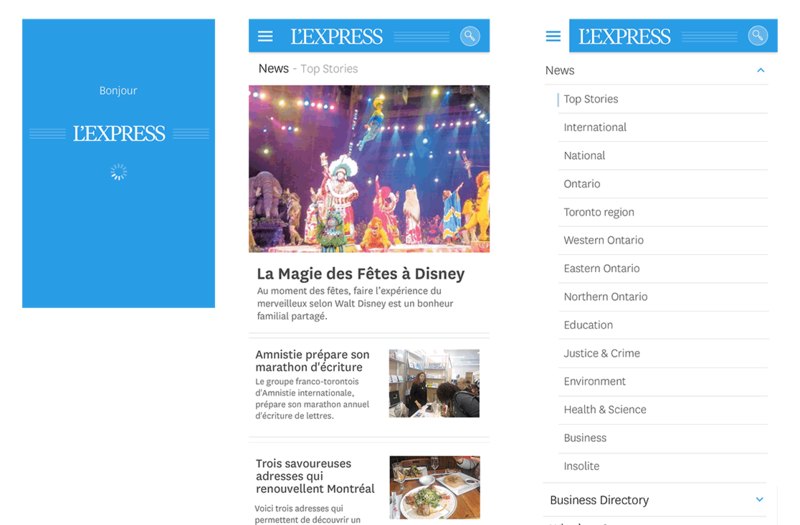 L’Express is a community of Francophones and Francophiles offering news, stories, ideas and activities. Who are the intended (and actual) audience? What is the path of future growth? What are the functions needed on the site that don’t yet exist? How does the initial plan break down into workable, agile sprints/phases? What’s the current content of the site? What is the current technology of the site? What bespoke functionality does the current site have? What are the admin/user roles in the new site, and who will fill those roles? Who are your competitors, and how well do they address the same concerns as your (planned) website? Do you have visual guidelines/branding for your new site? The users came from around the world, and a great proportion of them were from French-speaking Europe, with a significant population in Francophone Africa and the Middle East. We established two types of French speakers: Native speakers, and “Francophones” – speakers of French as a second language. We used treejack from optimal workshop to test our initial IA. Treejack is an “Information Architecture Validation Software” package which tests user’s ability to find information in an architecture by posing simple questions, and requesting that a user find where they think the answer will be in the IA. We tested with a population of volunteer users, most of whom were current lexpress website users. 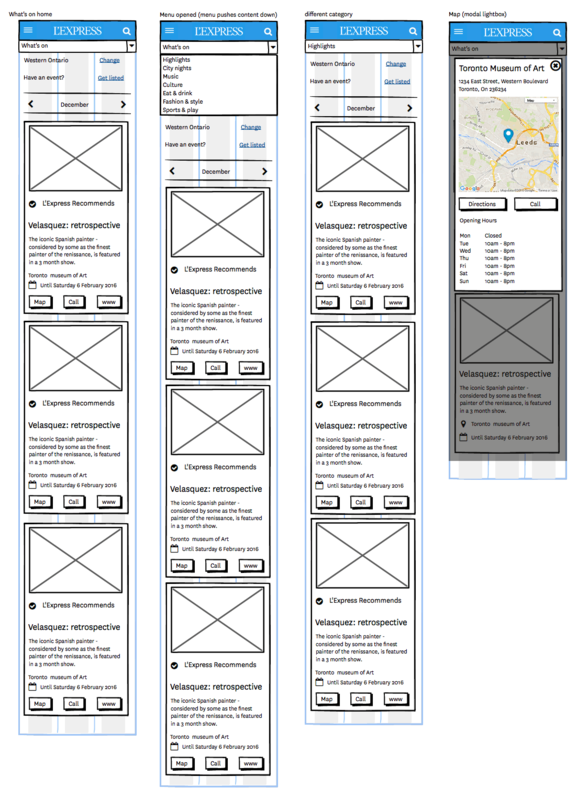 This is what a user-tester sees in treejack. 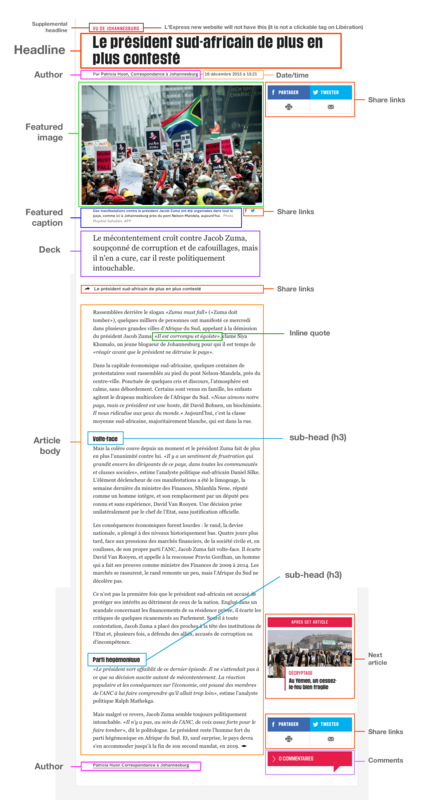 The user is asked a question at the top, and then has to navigate through the hierarchy by clicking ‘menu items’. The results of a treejack test tell us how well (or poorly) our architecture performed in the real world of users. In the screen below, the centre circle’s colour represents how well this task was accomplished. Green is good, red is not. In this case, we have some room for improvement! 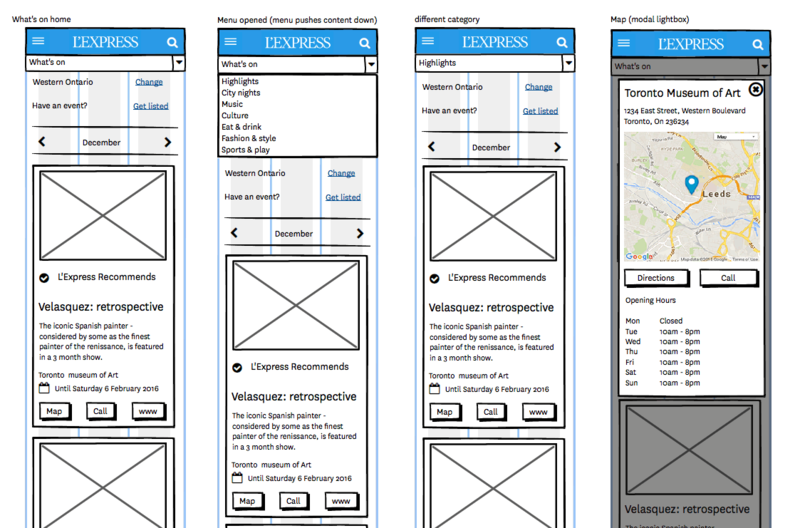 Putting it all together, we took the essential page elements, the IA, and our user analysis into a set of wireframes. We took the l’express print edition as a baseline for developing a new web brand, as it had moved with the times more than the website.